Yet another young employee at Keighley Laboratories has successfully completed an apprenticeship. Adam Marsden was presented with his certificate by Test House Manager, Carl Barker. 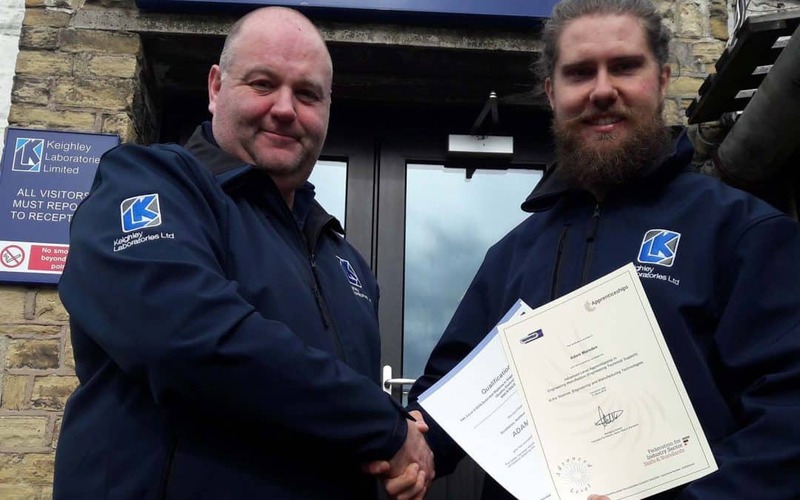 Adam, who is employed as a trainee Metallurgical Technician, studied for the Advanced Level Apprenticeship in Engineering Manufacture (Engineering Technical Support) with support from Appris. “The course was enjoyable as it’s adapted to the workplace and my work schedule. Being in a normal working environment made it convenient and less time consuming. Help was always on hand through my tutor, Nigel who has been very approachable throughout the course”. Photograph shows Adam receiving his certificates from Carl Barker, Test House Manager.